Rachel’s mom surprised us with this wreath full of childhood treats. Likewise, we’d like to give you loyal blog readers a little treat. 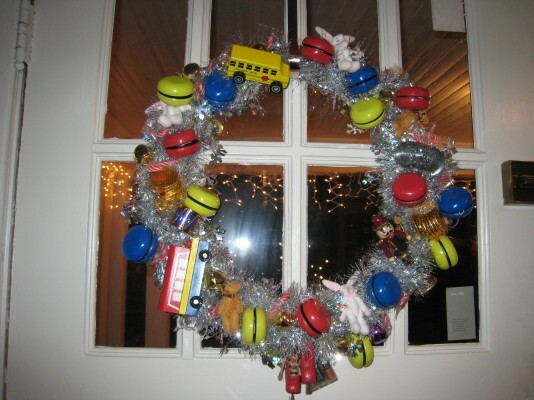 If you come in before Christmas, we’ll give you 20% off your entire purchase when you mention the code word (WREATH!). So….maybe now would be the perfect time to buy that $500 coat or Orla purse (You do the math! Now is the time!). And don’t forget, we’ll be open today and tomorrow (Christmas Eve) until 6. We’re closed for Christmas Day, but then we resume regular hours on Friday. And again, CODE WORD WREATH! Spotted with nothing to watch on a Monday night: all of us. If the lack of attention to Upper East Siders has you down, do what they do and accessorize with Tarina Tarantino. Little J grabs the jeweled skulls while Blair’s posse keeps it classy with headbands and flowers. And luckily for you, you don’t have to live in the 10028 to get these jewels; we’ve got them right here! Who says we don’t have anything for kids? 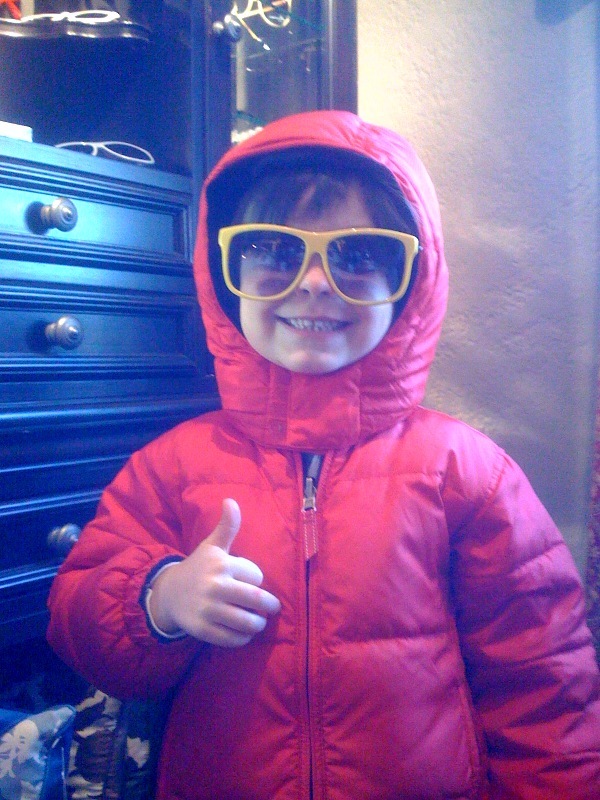 This little guy knows that you’re never too young to use colorful Rubber Duck sunglasses to brighten up your freezing day. And p.s. they come in red, blue, and silver, too. Our first-night candles have burned out, and we are now ready to officially announce that it is holiday season! 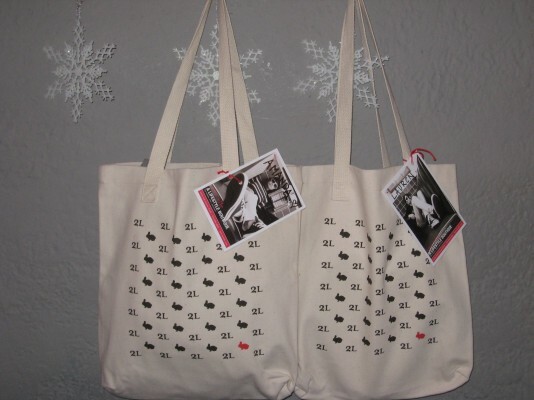 Here’s another idea for you: instead of using our two elle gift wrap (which is darling, of course, so we won’t blame you if you do), do what Rachel does and use a two elle tote bag instead. It looks cute, it saves the environment, and it’s the gift that keeps on giving. Also know that as Chanukah is upon us, we’re going to start giving you some gifts, too. We have sale sections for boys and girls, so now you can buy even more gifts than you thought! Do not invite two elle rabbits to your holiday parties. Impromptu photo shoots and dance parties in your attic will ensue.